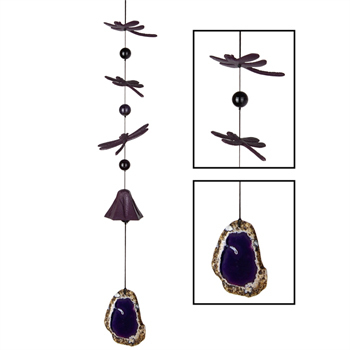 This traditional windbell features dragonflies and slices of purple-colored agate. This beautiful bell is made of cast metal with a satin purple finish. This bell is designed to hang from a string loop, rather than an O-ring.